This new reproducible book is a great resource for all things relating to music. Inside, your students will find brief, easy-to-understand information about a certain musical concept or topic. After they have read the material, they can test their knowledge by solving the adjoining crossword puzzle. There's even a comprehensive quiz at the end of the book. There are 12 puzzles in all covering the following concepts: Tempo, Rhythm, Key Signatures, Time Signatures, Instruments Of The Orchestra, Dynamics, Melody/Harmony, Musical Periods, Musical Forms/Works, Modes, Articulations, and Intervals. This wonderful resource is clever, educational, reproducible, and fun for all. 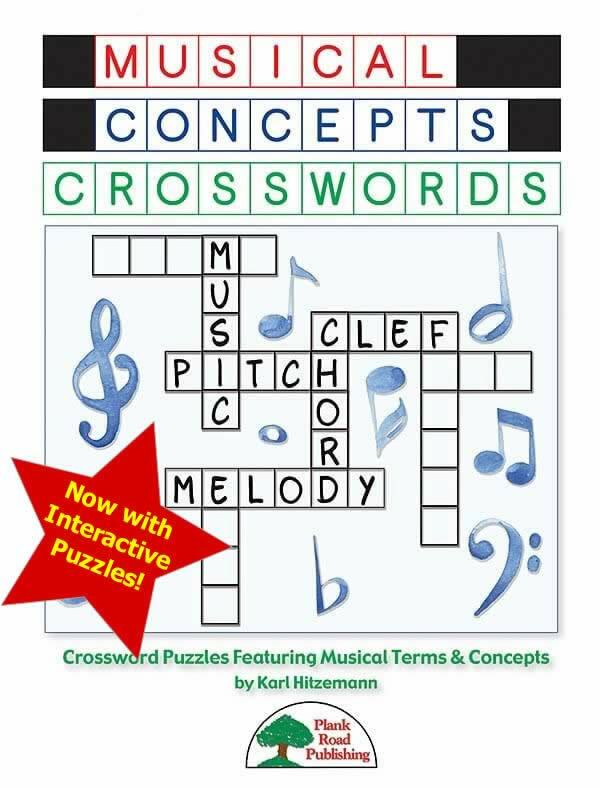 Musical Concepts Crosswords is a must for your music classroom!